 Vision Wave Weddings prides itself on producing extremely high quality wedding videos that can be supplied on either DVD or Blu-Ray. Each of these DVD’s has beautifully created menus that are customised to match the theme of your wedding day. Every intricate detail of these are selected with great care to ensure that they are perfect.